I cannot believe that it is November and that 2017 is almost over. It's been a crazy year that has just sped by. Need some entertainment to make it through to the weekend and all the fun stuff? Here are some of my favorite finds from this week. 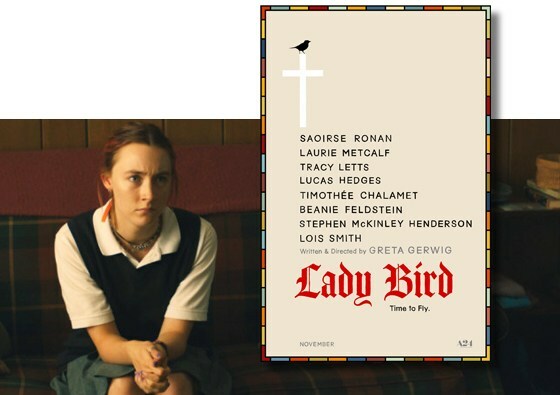 If you are from Sacramento, you MUST see Lady Bird. We went to the premiere and it was great. 11 trips inspired by your favorite authors. Beyond Ikea - 12 affordable home decor stores. Need to work on your gratitude? Check out this 30-day challenge from Glitter Guide. Have a happy weekend! And if you're looking for my "Things to Do" post for November... stay tuned. I'm working on it.